Reprinted from Meridian Magazine (14 Jul 2004)©2004 by John P. Pratt. All rights Reserved. Ancient Egyptians and Persians provide enough clues to restore a lost constellation, testifying of the virgin birth of Jesus Christ. The Bible tells us that God named and numbered the stars (Psalms 147:4, Isaiah 40:26), and the Book of Enoch testifies that an angel revealed the figures of the constellations in the stars to the ancient prophet Enoch. Even though those constellations were later worshipped by many pagans, there is much evidence that such was a perversion of what was originally a revelation about the gospel. Serpent Bearer crushes the head of the Scorpion. Van Keulen's 1709 rendition.A century and a half ago, Frances Rolleston, a scholar of ancient languages and traditions, pieced together the basic outline of just how the constellations testify of Christ. She pointed out how most ancient historians attributed the origin of the constellations either to Enoch or to Seth, the son of Adam. Her work Mazzaroth, or the Constellations went unnoticed for two decades until it was popularized by two Bible scholars, Joseph Seiss in the Americas and Ethelbert Bullinger in Great Britain. Even so, very few people today are aware of this theory, and it is taught in introductory astronomy classes that the constellations resulted from the fantasies of shepherds who probably spent their daylight hours finding pictures in the clouds. After another century elapsed, her book has finally been republished, but the other two books are also still available and are highly recommended to the interested reader as an introduction to the subject. For those new to the theory, on my website is posted a summary of their work and also responses to criticisms, but the details of the theory are not needed to understand this article. Many other books and presentations have come forth summarizing the topic, but only minor additions have been added to Rolleston's original work. Because of certain weaknesses in Rolleston's methods and the subjectivity of the entire concept, I have been hesitant to refer to her work much my articles. The part of her work which seems to me clearly to be true is where famous scenes from the gospel are illustrated, such as the Ram breaking the Bands of Death, and the many heroes who are crushing the heads of serpentine monsters (Gen. 3:15). She bases many of her conclusions on the Persian version of the constellations preserved by Albumazar, an Arab astronomer of about AD 850. He described the 48 original constellations, listed in twelve groups of four, in order progressing around the zodiac. The zodiac is the set of 12 constellations through which the sun, moon and planets all appear to move. Each of those twelve is associated with three other nearby constellations. Thus, the 12 zodiac constellations and their 36 associates make up a numbered and well-ordered set of 48 constellations. But just how sure are we that we know exactly what those constellations are? 1. Lost ConstellationRolleston relied heavily on Albumazar's list of constellations, but that list doesn't exactly match our modern list. In about AD 150, the Greek astronomer Ptolemy not only listed 48 constellations, he also measured the exact positions in the sky of every star in each constellation, noting just where it fit into the figure. Our modern constellations are virtually identical to Ptolemy's, with another 40 added to cover the entire sky, bringing the modern total to 88. Figure 1 shows a celestial map made from Ptolemy's precise star map, including several unfigured stars which he listed. How does our set of Greek constellations from Ptolemy compare to the Persian list from Albumazar? It turns out they mostly agree on 45 of the constellations, but disagree on three. One mentioned by Albumazar is entirely missing, and had apparently been lost since before the time of the ancient Greeks. Keep in mind that Enoch lived about 3,000 years before the Greeks, so it is amazing that so many of the constellations have remained intact. It is mostly to the Egyptians to whom we owe the debt of thanks for preserving the treasured pictures for us today. Tradition states that Abraham delivered them to Egypt about 2000 BC and it is said that the Greek scholar Eudoxus brought an Egyptian celestial globe (a globe with a map of the stars on it) to Greece about 300 BC. The work of Eudoxus has been partially preserved in verse by the Greek poet Aratus, who describes each constellation in some detail. That poem is now our primary source of information on the actual Greek figures. So to me it is amazing that most of the constellations have come down to us intact from about 2700 BC, the time at which science has determined that they were first drawn. If they truly do come from Enoch, who lived about that very time, then to me it is evidence that they were preserved for us by the hand of God. What else do we have today that dates back to before the Great Flood? Now let us see how enough clues have been preserved by the ancient Persians and Egyptians for us to be able to restore this lost constellation. 1.1 Persian DescriptionFortunately, Albumazar gives us a lot of detail about the constellation, including its location and what the figure looked like, and even what it represented. Location. First, we know the location because it was the first constellation associated with the Virgin (Virgo). That means that it would have been above the head of Virgo, the first part of that zodiac constellation. What constellation was at that position on the Greek map? Look at Figure 1, in the area near the top in front of the face of the winged virgin, near where she seems to be pointing. Notice the large area with no constellation, even though five stars are bright enough for Ptolemy to have measured there. That is the very area of the missing constellation. Figure 2. Albumazar's description of the lost constellation.That quote sounded too good to be true to me, so I decided to check it out. I found a Latin translation of Albumazar's work, of which I reproduce the paragraph in question in Figure 2. Roger Macfarlane, a professor of classical languages at Brigham Young University, kindly verified for me that her translation is adequate. Thus, Albumazar tells both where the constellation was located in the sky, a description of what it looked like, and even the interpretation that the infant represents Jesus Christ, as the infant son of the virgin. 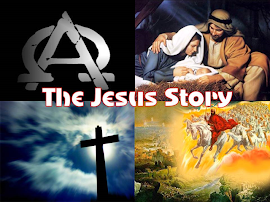 Moreover, he adds that there are many testimonies that this is correct: the Persians, Chaldeans, and Egyptians, as well as the Thrice Great Hermes (who was probably Enoch), and the Second Hermes (most likely Abraham). But do we have any hope of actually identifying exactly what stars formed the constellation? Or which star represented what part of the picture? Let us turn to the ancient Egyptians for the answers to these questions. 1.2 Egyptian FigureWhen Napoleon Bonaparte conquered Egypt, he sent his savants to do a thorough study of the Great Pyramid and several of the temples. One extremely interesting item was a detailed map of the heavens from the temple of Hathor at Dendera, showing the constellations as they were anciently. Napoleon had his artists carefully copy all of the figures in detail, resulting in a set of huge volumes of the drawings. The constellation of the Virgin (Virgo) is easily found in the map, as the woman holding the branch in the circle of the zodiac constellations. Near her is found a woman seated on a throne holding up a young infant. Rolleston identified this constellation to be the missing one Albumazar had described. She pointed out, "Eratosthenes call Virgo Isis. Isis, with other Egyptian goddesses differently named, is often figured holding the infant deity Horus, he who cometh." Figure 3. Constellation from Dendera Planisphere.In the planisphere of Dendera the figure is below, rather than above, Virgo, but that is relatively unimportant. All of the figures are only approximately placed, and many that didn't fit in their real locations are simply placed nearby where they do fit. Rolleston only provided a rough sketch of the figure, so again I decided to further research the problem. There is an original copy of the Napoleon volumes at the excellent University of Utah Middle East library. The author is indebted to them for allowing him to copy the engraving of the planisphere, of which the figure is here reproduced in Figure 3. Notice that it is very similar to what the Persians described: a woman on a throne holding an infant. It is lacking two details mentioned by Albumazar: she is not holding a branch nor nursing the infant. To me it appears that the Egyptian is closer to the original constellation because the Persians often apparently made slight modifications to the constellations to render them more understandable. In this case, the branch would clearly identify the woman as Virgo, and nursing would clearly identify the queen as the infant's mother. 2. Restored ConstellationSo now we are armed with both the location and what might be an actual picture of the constellation. Is there any chance we can identify the original stars it comprised? 2.1 First Attempt: Coma BerenicesRolleston identified the area of sky where the constellation should be found as the area where the modern constellation Coma Berenices (Bernice's Hair) is found, but she made no attempt to identify specific stars. Half a century later, Joseph Seiss superimposed the outline from Dendera over the general star field of Coma Berenices, but also did not attempt to identify individual stars. To my knowledge, no one in the twentieth century made any attempt at all to improve on Seiss's suggestion. Personally, I did not accept the Coma Berenices identification for one principal reason. In all of the other constellations, the star which represents Christ is always a bright star, or at least the brightest of the constellation. In Virgo, which is a huge constellation of dim or average stars there is exactly one very bright star (Spica), and it represents the grain she holds, the "seed of woman," which in turn represents the Savior. But in Coma Berenices, there is not even one star of average brightness. Even though the Savior was to be born in the obscure circumstances of a stable, I could not see how the stars representing him could be so dim. Figure 4. The 7 brightest stars in area of lost constellationLast week I had occasion to review all of the constellations and it finally occurred to me to look above the area of Coma Berenices. There I was stunned to find the two stars of the modern constellation of Canes Venatici, the Hunting Dogs. One of those two is one of the brightest stars which was listed in the ancient Greek catalog as not belonging to any constellation. In 1687 the Polish astronomer Johannes Hevelius created the Hunting Dogs just to fill up the gap. The brightest star had already been named by the English as Cor Caroli, the "Heart of Charles," after King Charles I of England. Of the five stars shown in the otherwise blank area in front of the Virgin in Figure 1, the three nearest her are in Coma Berenices, and the other two are the Hunting Dogs. If one adds the next two brightest stars in the region, to get the apparent minimum of seven stars required for ancient constellations, then the stellar configuration is as in Figure 4. They are shown there drawn as they appear in the sky (scanned from a star atlas), with the size of the dot representing their relative brightness. The four lower stars form a nearly perfect square, and the reasonably bright star is shown in the upper group. Figure 5. 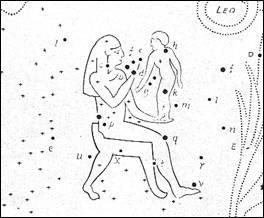 Stick-figure of the restored constellation.Comparing the actual stars to the Egyptian figure at Dendera (Fig. 3) shows an excellent fit. The woman is seated on a very square throne and the bottom stars indeed form a square. Not shown are several slightly dimmer stars in the throne which make it "glitter." The queen is holding an infant, and the star Cor Caroli fits at the location of her hand, with the other star in the infant. Figure 5 shows a stick-figure version of the proposed constellation (with stars identified) and Figure 6 shows a full restoration. I asked the artist, Mary Pratt Parker, to position the infant so that the star Cor Caroli would be located at his heart, in anticipation of that star someday being renamed Cor Christi. If this restoration is correct, it represents the first time in over twenty-five hundred years that it has been known to the western world. It might be very interesting to discover just how this plain and precious constellation, which so clearly testifies of Jesus Christ, was somehow erased from the maps of the heavens. It is very fortunate that enough clues remained for it now to be restored to its proper place. Figure 6. Proposed restoration of the "Infant Prince. "What should the constellation be called? Rolleston suggested "Coma" which she felt was the ancient Hebrew name (meaning "The Desired One") which had been misunderstood by the Greeks to mean "hair." I believe that is just her speculation and would avoid the name Coma until an original source with that name is verified. I propose the name "The Infant Prince" because the ancients all agreed that it shows a virgin queen sitting on a throne, holding her infant son. 3. ConclusionThe Book of Enoch claims that the constellations were revealed by an angel to the ancient prophet Enoch. At least one of those constellations had disappeared from star maps before the time of the ancient Greeks, but fortunately the even more ancient Persians and Egyptians preserved enough information on its location, shape and even interpretation to restore it to its proper place. 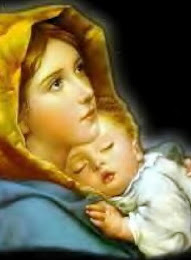 The Persian interpretation was that it was an infant being held by its queenly virgin mother, and that it represented Jesus Christ, leading to the proposed name "The Infant Prince." Truly, the heavens do testify of the glory of God (Psalms 19:1). 1 Enoch 74:4-7 (Laurence translation). The Book of Enoch was removed from the Bible a few centuries after Christ but it was accepted by the Savior and his apostles as authentic scripture. See my "Enoch Calendar Testifies of Christ," Meridian Magazine (11 Sep 2001), Section 1. Rolleston, Frances, Mazzaroth; or the Constellations (London: Rivingtons, 1862, updated in 1875), with the latter version reprinted by Weiser Books (York Beach, Maine, 2001). The brilliance of her work is to have recognized the overall pattern and to have done decades of research. Perhaps the best contribution from the ancient world was her summary of the Persian constellations. The other two books are Seiss, Joseph, The Gospel in the Stars (Philadelphia: Claxton, 1882) reprinted by Kregel (Grand Rapids, Michigan, 1972) and Bullinger, E.W., The Witness of the Stars (London, 1893) reprinted by Kregel (1967). For the interested reader, I have summarized and critiqued all three books in my "Review of Gospel in the Stars" and I have responded to criticisms in my "Answering Objections to Gospel in the Stars." The weakness of her work is the misapplication of translating star names. She started with the potentially fruitful idea that certain star names had been transliterated (meaning simply saying the same name of unknown meaning in the new language) rather than translated (meaning using the corresponding word in the new language) from the original language which she presumed to be Hebrew. The problem is that she assumed that all star names had been transliterated, but it is obvious that many star names were indeed translated correctly. For example, the name Deneb means "tail" in Arabic and stars with that name are invariably found at the tail-end of the animal described. She translates Deneb the same as the name "Dan" in Hebrew (ignore the vowels), which means "judge." Therefore, most of her name translations are to be disregarded because her assumption of transliteration is faulty. A much better source for star name translations is Paul Kunitzsch and Tim Smart, Short Guide to Modern Star Names and Their Derivations (Wiesbaden: Otto Harrassowitz, 1986). One article which showed that the celestial clock of precession interacts with the constellations was "Celestial Witnesses of Christ Breaking the Bands of Death" Meridian Magazine (26 Apr 2001); one introducing her work was "The Constellations Testify of Christ" (9 Oct 2001), whereas "Lion and Unicorn Testify of Christ, Part I: The Cornerstone Constellations," Meridian Magazine (8 Nov 2001) focused on the four most important constellations. I have yet to write my interpretation of the entire set, because, as can be seen in this article, to me the set is still not perfectly defined, much less understood. Hercules is stepping on the head of the Dragon (Draco), the Lion is bounding onto the head of the Water Serpent (Hydra), and the Serpent Bearer (Ophicuchus) is crushing the head of the scorpion (Scorpius), and Orion is crushing the Hare. In the Egyptian planisphere at Dendera, the hare was replaced by a serpent. Rolleston also has the Ram stepping on the Sea Monster, but I'm not sure what her authority is for that. Albumazar (Rolleston uses the older spelling "Albumazer") lists the Southern Cross, the Band as separate from the Fishes, and also an otherwise unknown constellation of a virgin holding an infant. Ptolemy considered what he could still see of the Southern Cross to be part of the Centaur (Centaurus), the Band was considered part of the Fishes (Pisces), and the infant was not known to him at all, nor apparently shown on the sphere which Eudoxus of Greece had described about 300 BC, which was preserved for us by the poet Aratus (also spelled Aratos) in his poem "The Phaenomena," which title refers to the starry sky (for an English translation see G.R. Main, Aratus, Cambridge, Harvard U. Press, 1960). Instead, Ptolemy listed the Triangle (Triangulum), the Southern Crown (Corona Australis), and the Little Horse (Equuleus). All of those constellations may well have been added simply to bring the total up to the traditional 48. The infant had apparently been entirely lost, and replaced with the Triangle before 300 BC because Aratus includes it. Apparently the Greeks never knew of the Southern Cross, because it was not mentioned by him. It was underneath the Centaur, but was disappearing about the time of Christ below the horizon because of the precession of the equinoxes. It may well have been replaced by the Southern Crown, which happens to be placed below the Archer (Sagittarius), who also happens to be a centaur (half-man and half horse). Aratus mentions it as a little ring of stars, but does not give it a name nor dignify it by counting it as a constellation. A summary of all 47 constellations known from the original set, along with how to pronounce their names and an English translation is posted on my website at "Constellation Names." It is clear that Eudoxus was looking at such a globe because he reverses left and right when describing the eyes of Draco and the knees of Hercules, and also he tells us that the Sea Monster is dark blue and the Hare is grey. The constellations on a celestial globe are mirror images of how they look in the sky because a globe represents them as how they would look from the other side of the "celestial sphere." I have also read that Pythagoras, some two centuries earlier, had been a priest in an Egyptian temple and also brought such a globe, but I've been unable to verify that statement. It is clear, however, that many of the Greek constellations were known by the time of Thales, about 600 BC. The time of origin can be determined by the area of the sky to the south in which no constellations are shown. That part of the sky moves around during the 26,000 years of the precession of equinoxes and also depends on the latitude of the observer. See my "Scientifically Dating the Constellations" for a summary of one scientific procedure for dating their origin. Rolleston, Book I, p. 17. The Temple of Dendera was constructed in the first century BC, but the celestial map can be dated by the precession of the equinoxes to several centuries earlier, somewhere between 700 and 1600 BC. See Peter Tompkins, Secrets of the Great Pyramid (New York: Harper & Row, 1971), p. 174. The drawings from Napoleon were authored by the Commision des Sciences et Arts d'Egypt, Description de l'Egypte (Paris: Imprimerie Imperial, 1809-1828). Constellations have many interpretations, and the winged Virgo also represents the Church which will be given eagle wings (Rev. 12:1-2, 5-6, 14) and which will bring forth the political Kingdom of God as a son to rule. Published as "The Constellations Tell of Christ," by Meridian Magazine (15 Jun 2005).©2005 by John P. Pratt. All rights Reserved. "The proposal made in this article that the zodiac constellations were designed to illustrate twelve distinct roles of Jesus Christ appears to be correct because 1) the figures are excellent choices to symbolize those roles, 2) the twelve break into three sets of four which are equally spaced around the circle, 3) each set of four has one as header and the other three as subdivisions of that heading, and 4) the constellations were reportedly revealed by an angel, which would imply that they should be closely tied to Jesus Christ. These meanings are proposed in addition to former work in this field which has suggested that the constellation figures also depict the gospel in chronological order, which may well also prove to be correct".